The one stop place for all county ASA results, dates and information. Photo: A great start to this year’s England Programmes County Pathway. Swimmers from twelve Dorset clubs arrived at Canford Sports Centre on Sunday 14 April for the first camp of this year’s England Programmes Dorset County Pathway Programme with Lead Coach Jan Hutchings (Poole). The day started with a briefing to both parents and swimmers after which the swimmers met with their group Skills Coaches – Aaron Beal (Bridport Barracudas), Jacob Dunning (Poole), Taylor Mowlem (West Dorset) and Danny Partridge, Luke Roxburgh and Nikki Williams from Wareham. The focus of the camp was aquatic alignment and effective prone streamlining with the morning pool session spent working on Freestyle and, in the afternoon, Backstroke. The morning pool session was followed by an indoor land training session aimed at mobility, agility and coordination involving a number of ‘fun and games’ exercises reflecting movements that had been practiced in the pool and for which the swimmer would gain scores. Lunch was followed by a workshop for both parents and swimmers on basic stroke techniques using a presentation set by Swim England. Organisation of the day was undertaken by Lead Team Manager Tina Corbin (Littledown Masters) assisted by Tracy Hemmings (Poole) who ensured the day went as smoothly as possible. The next camp will be on Sunday 30 June. Dorset England Programmes swimmers are as follows: BCS – Harry Izod, Max Izod; Bridport Barracudas – Terry-Jane Hare; Clayesmore – Jessica Spolton; North Dorset – Georgina Horn, Isabel Lulham; Poole – Matthew Butcher, Freya Coupe, Harry Cutbush, Jack Goddard, Holly Olding, Lottie Vavasour, William Webster; Seagulls – George Honor, Finley Lock, Harry Pollard; Swim Bournemouth – Razvan Andrei, Lola Beale, Cody Collins, Ellie Crain, Georgia Fish, Polly Ghandour, Zia Gondouin, Grace Knight, Toby Lacey, Charlotte Piper, Harry West, Hugo Young; Tornadoes – Maisie Birch, Holly Kearns, Hollie Thomas; Wareham – Evie Loudoun; West Dorset – Matthew Prowse, Anna Miles-Simonite; Weymouth – Jamie Gunn. 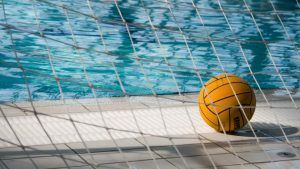 For the first time in ten years a coaches course for water polo will be held in Dorset. The new Blended Learning Assistant Water Polo Coach course, the equivalent of the old Level 1, will be held on 29-30 June 2019 at the Osprey Leisure Centre in Portland and consists of online e-learning starting 14 June 2019 prior to the twelve hours of theory and five hours of practical water-time over the two day programme. 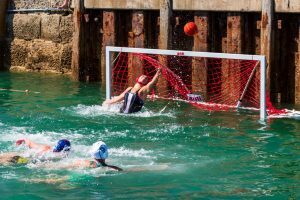 Lyme Splash, the UK’s only Water Polo Sea Championship, will again take place this year in Lyme Regis. The event will be held over the weekend of 3-4 August 2019 at The Cobb with the first games starting at 8.00 am and 8.45 am respectively. 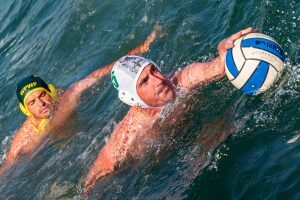 The event, which is for Men’s and Women’s teams of 16 years and over, will offer two floating pitches to accommodate a whole host of teams and be run under Swim England Technical Rules. For the third year running Dorset will participate in the national England Programmes Pathway providing a local development opportunity for 11 year old swimmers, club coaches and team managers. Plans for 2019 Dorset County Pathway are well underway, with selections having been sent out to clubs following the completion of this year’s County Championships and coaches signing up for the three scheduled camps that make up the programme. In the meantime, certificates for all those from the eight Dorset clubs who had participated in 2018 and successfully completed the full programmes were awarded to the coaches of the home clubs at the end of the County Championships. Dorset England Programmes certificates were awarded to: Clayesmore SC – Freddie Beasley, Charlie Hodges, Lottie Hodges and Georgia Kenny; Poole SC – Lucy Gibbs, Aaron Hopkins, Isla O’Connor and Luca Sartorius; Seagulls SC – Bethany McWilliam; Swim Bournemouth – Minnie Barratt, Sam Chamberlain, Mia Dalkin, Elizabeth Dawson, Halle Harris, Freddie Hodgetts, John Mouskis and Cameron Willcocks; Tornadoes of South Dorset – Natalia Baran, Lilly Davies and Sophie Marsh; Wareham – Austin Blanchard; West Dorset SC – Isla McPhail, Nikita Miah and Sam Ray; Weymouth – Abigail Sedwards. The 2018 County Pathway camps were all held at Canford Sports Centre and lead by Head Coach Sam Woodward (Swim Bournemouth) supported by Skills Coaches Nicky Brunell (Weymouth), Meghan Corby (Poole), Jon Creffield (Blandford), Steve Johns (Clayesmore), Hannah Kearns (Tornadoes of South Dorset) and David Moorey (Bridport Barracudas SC) together with Team Manager Tina Corbin of Littledown Masters.